Visiting Dr. Henry Ernst for the First Time? We welcome new sleep apnea patients! 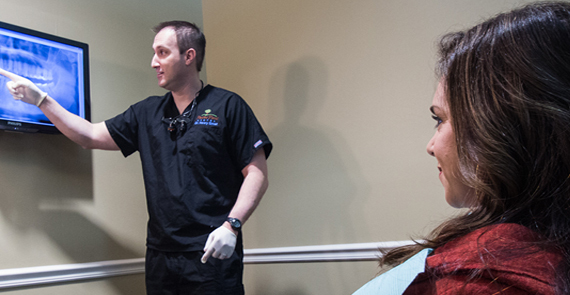 We hope you are looking forward to your first appointment with us because helping you feel better is our top priority. We have spent a great deal of time deciding what services and features would make treatment more convenient and enjoyable for you. From extended hours to affordable financing, we want to make sure nothing stands in the way of your treatment. What Can You Expect From Your Sleep Apnea Patient Consultation? All initial sleep apnea patient consultations are free. Dr. Ernst will discuss your medical history with you and go over any habits that may increase your risk of developing sleep apnea. He will also have you complete a detailed sleep apnea questionnaire to ensure that he obtains a comprehensive understanding of your concerns and condition. Rhinometer and pharyngometer testing will be completed, all free of charge. If Dr. Ernst feels that you are at risk for sleep apnea, he may recommend that you take the at-home test to determine the level or severity of your condition. The test is not free. However, it costs less and is more convenient than traditional sleep lab diagnosis while yielding the same results. Contact our office to schedule your free consultation with Dr. Ernst, download your dental new patient forms, and start looking forward to getting a good night’s rest.